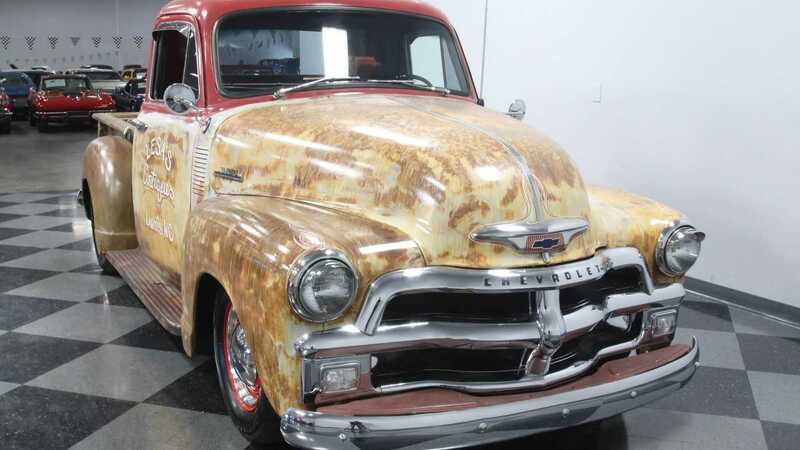 This 1954 Chevy 3100 3 Window covered in patina might put many people off at first, but once you take a closer look at the truck, you will quickly realize that there is more to it than what meets the eye. 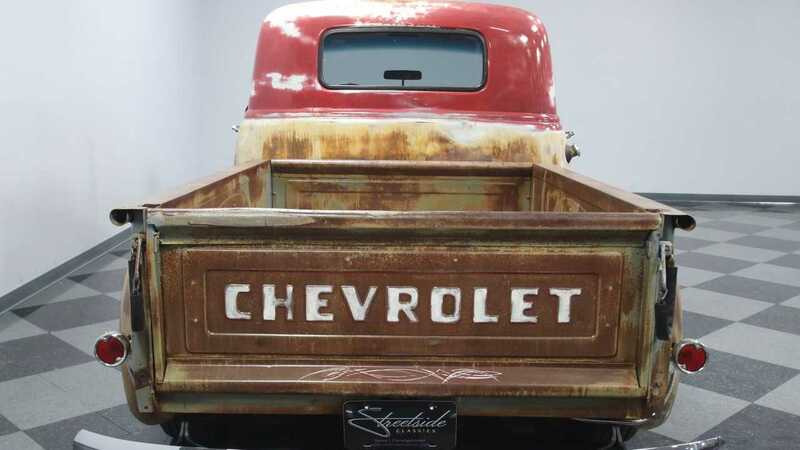 Chevrolet introduced the Advance-Design series of pickup trucks after World War II on Saturday, June 28, 1947. 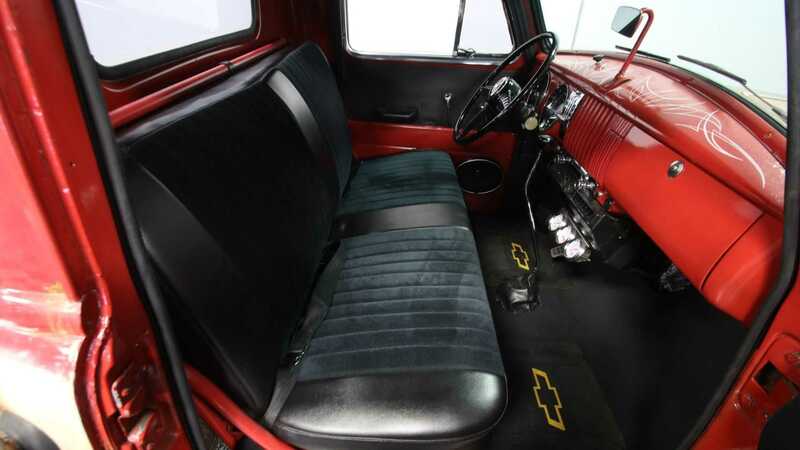 The overall design of the trucks remained unchanged until 1954, the only year Chevy made any significant design changes to these trucks and its GMC counterparts. 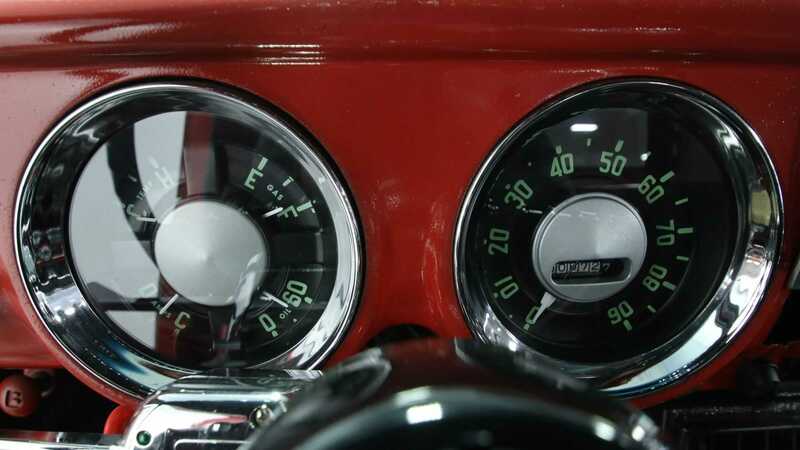 As part of the redesign, the windshield was now a curved one-piece glass without the center vertical dividing strip. 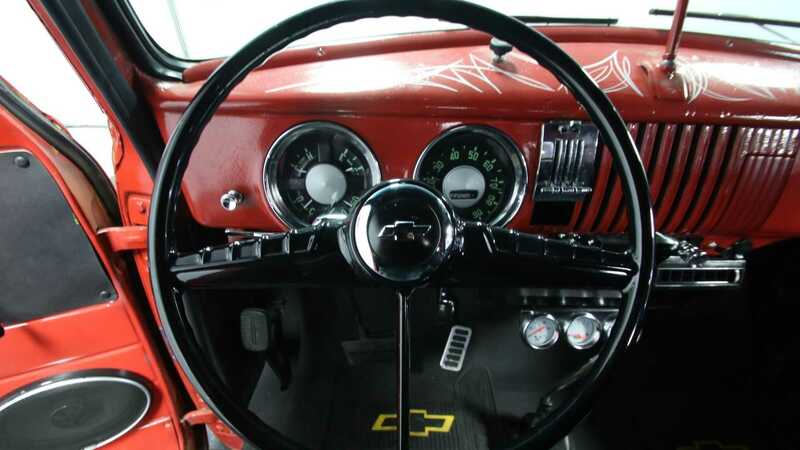 The steering wheel and the dashboard were also revised. 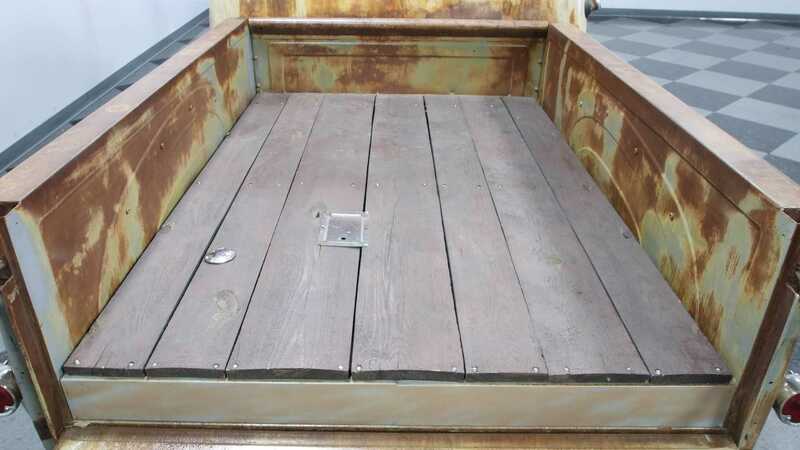 The previously angled cargo bed rails were now horizontal. 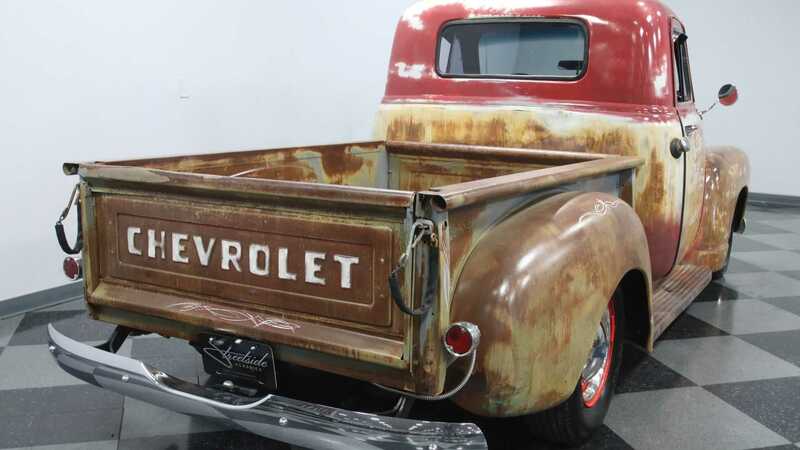 The rectangular taillights were replaced with round units and the grill changed from five horizontal slats to a crossbar design. 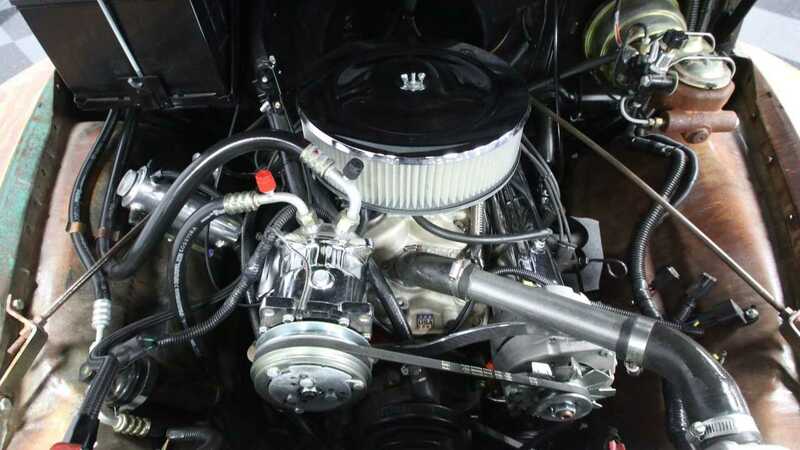 The engine was upgraded to a 235 cubic-inch, 3.9-liter straight six and a Hydramatic automatic transmission was available for the first time as an option. 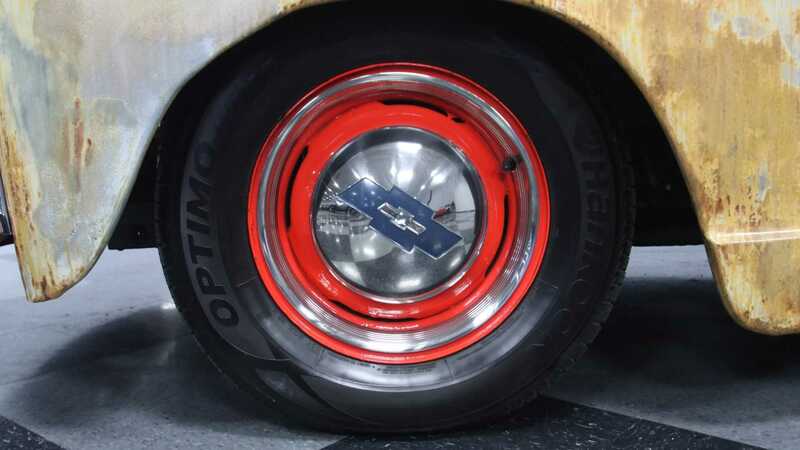 The Advance-Design series of trucks were replaced by the new Task Force series trucks on March 25, 1955. 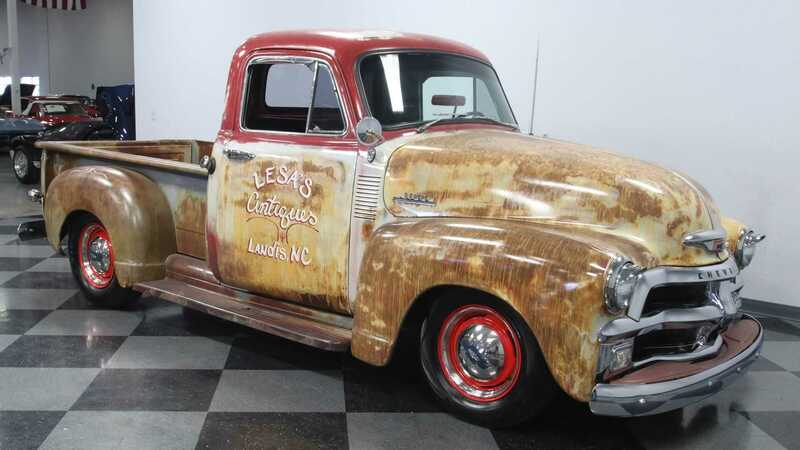 However, this particular 1954 Chevrolet 3100 3 Window currently for sale at Streetside Classics in Concord, North Carolina might look like a rough example at first glance because of the patina. 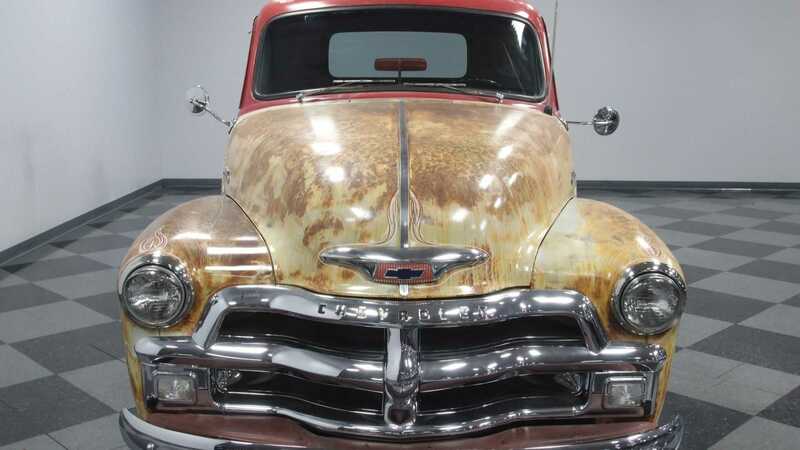 But a closer look at the truck and the clear coat finish will make you realize that this truck has more to offer than what meets the eye. 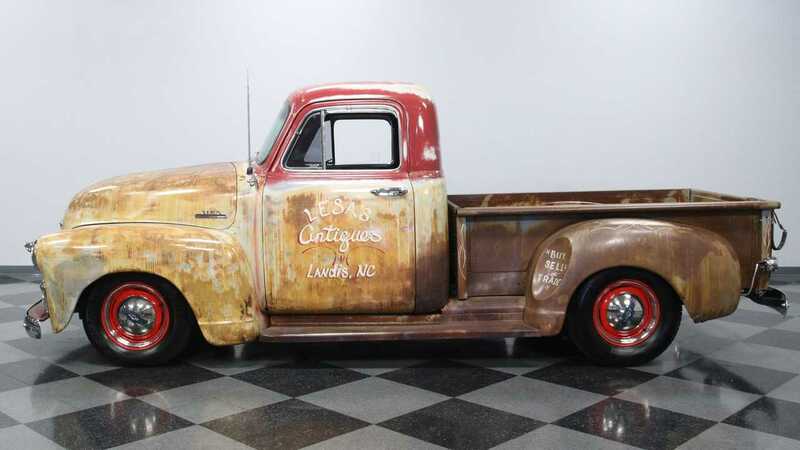 Instead of being powered by a 235 cubic-inch, 3.9-liter straight six, this is powered by a 350 cubic-inch V8 and it is bolted to a three-speed automatic transmission. 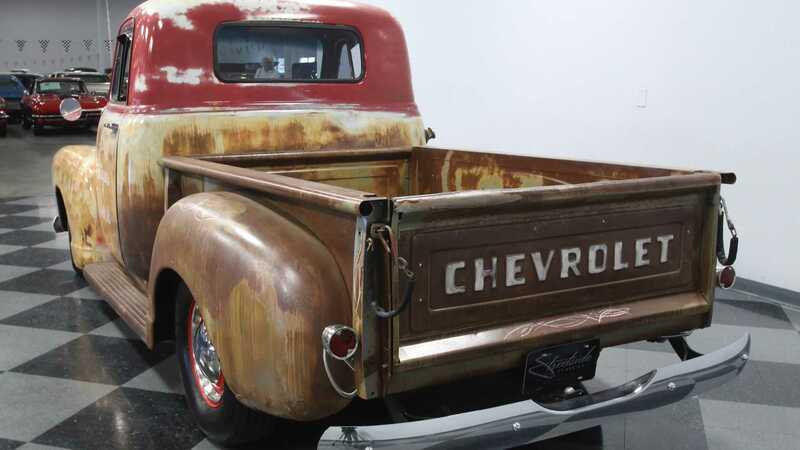 While this '54 3100 3 Window does have the unmistakable look of patina with a weathered barn wood truck bed, you would be surprised to know that this truck went a restoration process which was only completed in 2017. 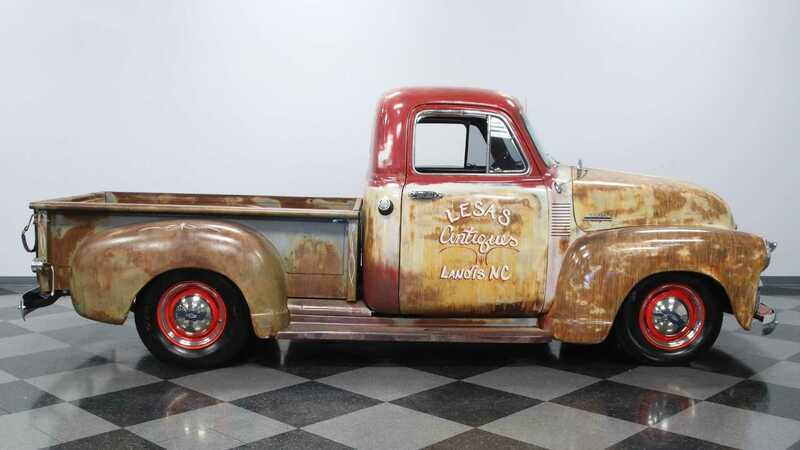 On the outside, this pickup has a cool pinstripe package and the rear fender's curved spare tire insert now features additional shop truck script. 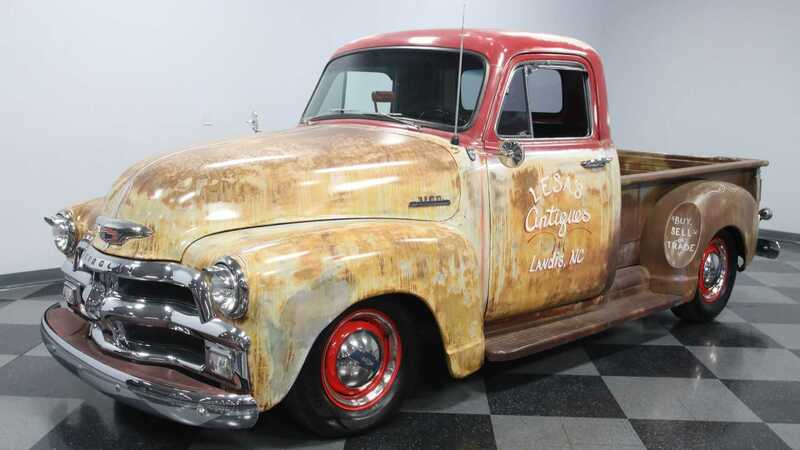 Additional details consist of shiny chrome front and rear bumpers, chrome grill, a lowered suspension, and a set of red wheels. 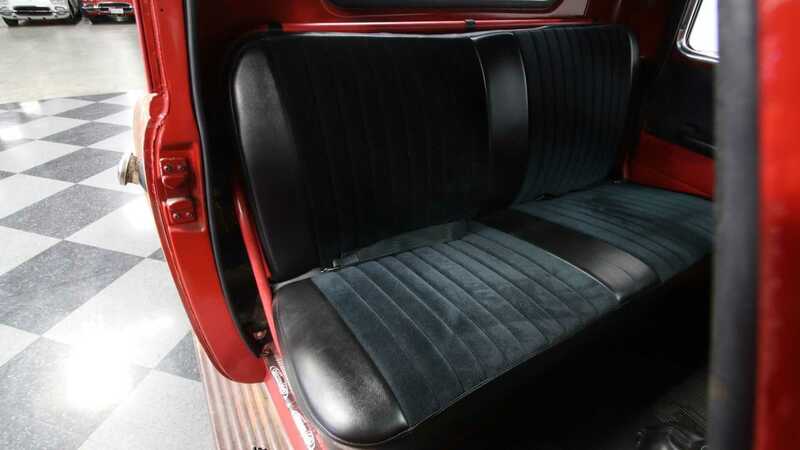 Inside, you will find more pinstripe work on the dashboard and the bench seat is covered in a combination of rich, black leather and comfortable cloth inserts. 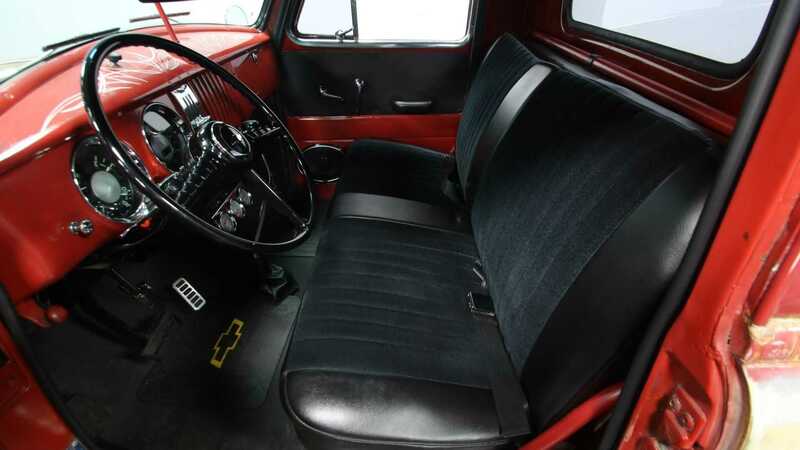 The cabin also features modern luxuries like a retro-style AM/FM digital tuner with Bluetooth connection, R134a air conditioning, and a heater. 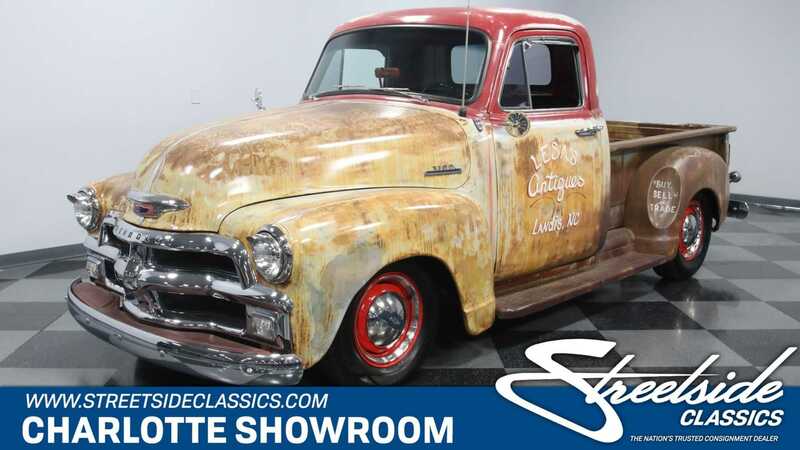 So, if you ever fancied owning an early 50s Chevy pickup with some patina, comfortable interior, and modern running gear underneath it, then you should consider this 1954 Chevrolet 3100 3 Window for sale at Streetside Classics for $34,995.